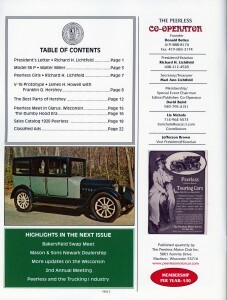 This article was written by Walter Miller and appeared in the Spring/Summer 2014 issue of The Peerless Co-Operator. The following reproduction maintains the original look as best as possible in HTML but may contain some typos and/or layout issues due to this technique. appeared to have been fully restored when Roaring 20’s owned it, Rex Hadley did a ground up resto­ration on the car taking a decade or more. General Hadley had an il­lustrious career in the U.S. Air Force beginning in World War II through Vietnam flying thousands of mis­sions as well as training pilots and was one of the founders of the Hill Aerospace Museum located near his home. 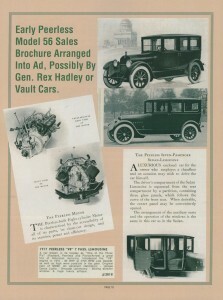 Both Rex Hadley and his wife died in 2006 and his small antique car collection was sold to Michael Daily of Vault Classic Cars in Anaheim, California. Mr. Daily sold the car in 2007 to James Whalen of Marina Del Rey, California. 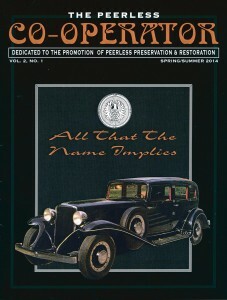 The California title still stated that the car was produced in 1917, although Mr. Whalen knew otherwise. 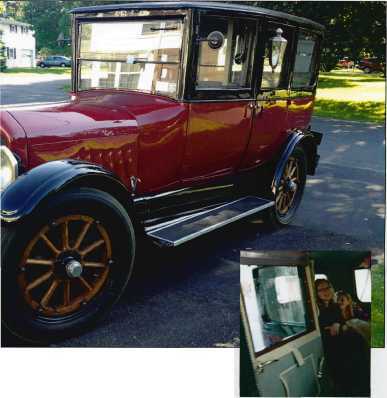 photos of the car that she happened to have on her computer from our trip and he confirmed that this was indeed the same car. Oops! Need­less to say, it was several weeks before my wife would speak to me again! 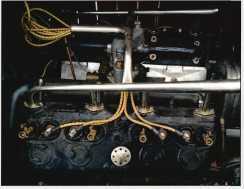 vidual driving characteristics which are excellent in their own ways while the Marmon had the highest top speed. 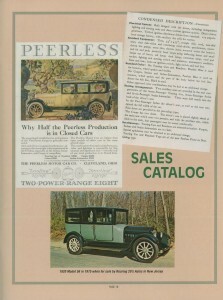 The Peerless seems to be the quietest of the group. We have driven this fully restored car at near highway speeds on several trips of as much as 200 miles in a day and it performed flawlessly, achieved 8 mpg, ran cool on the hottest summer day and has had only one major mechanical problem since our ownership: in 2012 the differential gears broke and I had replacements made. Last sum­mer a hubcap fell off and I can use another if anyone can help. Since 1920 was several years before bal­loon tires were introduced, its thin­ner tires give the car a more exact feel on the road, although not as smooth as balloons. The car’s V8 engine gives it excellent accelera­tion and it can be driven safely with modern traffic. 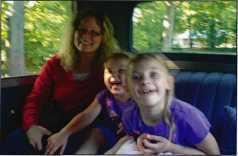 My wife Jane and our daughters Minerva, 7, and Octavia, 5, love being chauffered by their father. We recently went to our local grocery store, spent $300, filled the Peerless up with food and it has more room for groceries than an SUV! We con­tinue to enjoy the Peerless and hope to for many years to come. If anyone can add anything to the car’s history or offer corrections, please contact me. jump seats so that 7 passengers can ride in comfort, electric speaking tube, side opera lights, and was intended to be chauffer driven and occasionally owner driven, hence its name, Sedan Limousine. It was originally uphol­stered in the identical wool cloth front and rear as opposed to a true limousine that was typically leather in the front and cloth in the rear.